What is accounts receivable (AR)? Simply put, accounts receivable is all the money owed to the business by its customers or clients, and the processes of collecting it. This includes invoices or bills sent (until they are paid), tracking of the payment, and the reconciliation of payments with invoices. Since your AR is money owed to you, it becomes an asset. Once it is paid, it isn’t categorised as an asset anymore, but it becomes cash in the bank. 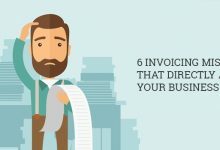 When you draw up an invoice, you must take care not to make invoicing mistakes that directly affect your business. After clearly putting down the amount and the date of the invoice, you must set the payment term. For example, if a payment term is expressed as net 15, that means it is due 15 days from the date of the invoice. Deadlines for payments must be reasonable. For instance, if it ought to be net 30, don’t try to save the relationship with the client by offering net 60 (which is to lax), nor end up breaking the relationship with net 15 (which is too stringent a time limit). When a payment is late, i.e. past its due date, you must age it. Ageing of your AR is done by counting each day passed after the due date. By reviewing your AR regularly, you can stay abreast with the payment status and take measures to avoid having to add a payment to your ageing report. The ageing report, as you may have guessed, shows you all the overdue payments – from the least to the most overdue – at a glance. When your AR isn’t being received or collected on time, the rotation of cash gets hampered. And a buggered up cash flow could mean the doom and early demise of your business. By always being au fait on your AR, your cash flow will never suffer. 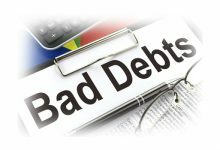 Do you have a system in place to recover debts? Do you offer discounts for early payments? Are you sending reminders and following-up on invoices before the due date? Or do you call the defaulter a few days past the due date? How do you deal with late payments? Do you sometimes sign your invoices over to a financing company so they can buy your invoices when you can’t wait for a customer to pay? An invoice that is very old and unlikely to be paid should be written off as a bad debt. When you do this, you have lost income, and you must capture this in your accounting so that you can claim any tax that you have paid on it. However, despite writing the invoice off, you can continue to send reminders or importune them for the payment. If you’re lucky and they do manage to make the payment later, you can declare the income on your next tax return. Your customers or clients shouldn’t assume it’s alright to pay you late, or take it for granted that you will tolerate late payments to continue enjoying their patronage. If they don’t pay you, your cash flow gets stuck. 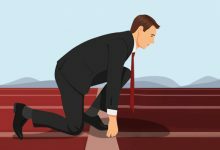 So your business operations, salary payments, inventory purchasing, business growth and expansion all come to a standstill, and your business is in prime position to go broke. You have to set-up an accounts receivable process to ensure the smooth rotation of cash. How do you get paid on time for work you have completed? Having a system in place helps you track payments and follow-up on them rather than waiting till the last minute. Remember, invoices are assets and must be treated as such. So set up your business’ AR process to maximise your chance of getting your money on time.